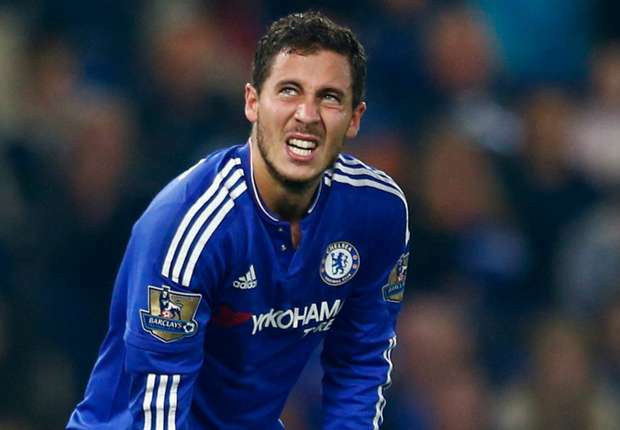 EDEN HAZARD: Is there too much being made of literally NOTHING? Eden Hazard was named on the Chelsea bench at the weekend against Aston Villa and once again the press have moved into overdrive with reports of player unrest and a falling out with Jose Mourinho. Is there too much being made of literally nothing?? Looking retrospectively at Jose's decision, it appears to me to be an inspired one. Chelsea won the game and Hazard remains fresh for the all important game tomorrow at Dynamo Kiev where I would put money on him starting. If we had drawn or lost the game then questions would have needed to have been asked but it simply wasn't the case. With the current situation we find ourselves in, you have to expect speculation of all sorts coming out of the press and the media. I would suggest that most of it you ignore and to only concentrate on what the manager is saying. “I left out Hazard because we are conceding goals. “We need to defend better. When you don’t have the ball, quality means nothing and what means (taps his chest)… you have or you don’t have." "When he comes in our direction". Now, despite what Jose has said here, I stand by the fact that it's being made into something by the press when all it seems to me is a reminder of the expectation of Hazard defensively. With all the praise and adulation he received in addition to the individual awards he won, it's good man management to keep someone like Hazard in check to remind him of his value to the team as a whole when we do not have the ball.